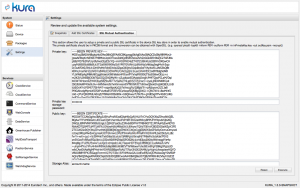 In this article, I will show you how you can connect your Eclipse Kura gateway to AWS IoT. 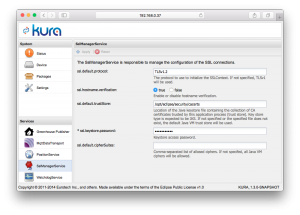 Since the authorization and overall security mechanisms in AWS IoT heavily rely on certificates, the only tricky bit will be for us to properly configure the Kura gateway so as it establishes a trusted connection to the AWS backend. 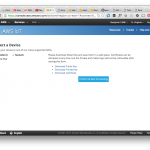 You will, of course, need to have an AWS account to be able to use the AWS IoT beta. 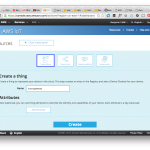 Most of the operations that will allow you to manage your AWS IoT fleet can be performed either from the Web UI, or using the AWS CLI command line tool. While you will probably want to use the CLI when you will be familiar with the platform, I suggest that you start your first experiments using the web interface. A public/private key pair, just like what you used for e.g. SSH or GitHub. 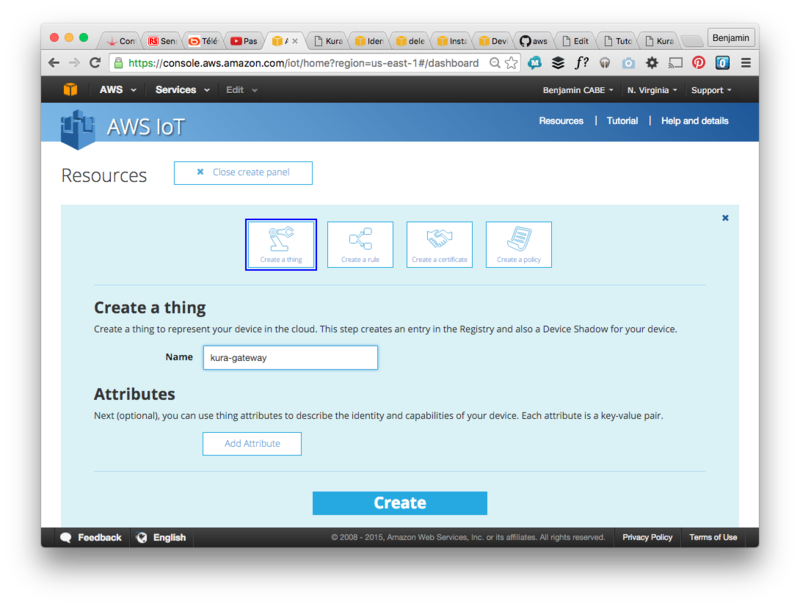 AWS IoT keeps track of the public key, and you will use the private key to encrypt the communications. A certificate used by your client (in our case Kura), to authenticate the server. In Java, anything involving certificates is typically done using a so-called keystore: a secured storage facility for your certificates and cryptographic keys. We will be able to add the AWS IoT certificates and keys in our keystore right from the Kura Web UI, but we first need to manually create the keystore. 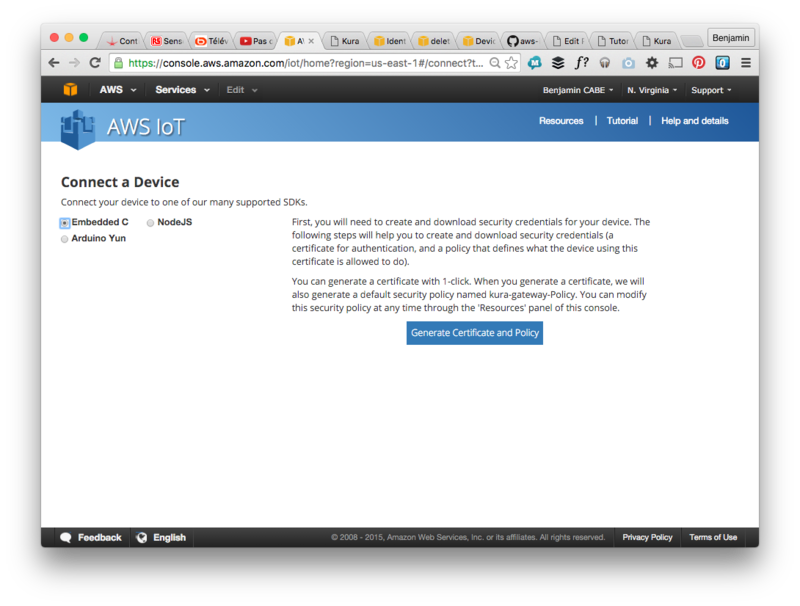 We will seed this keystore with the root Certificate Authority that is used to sign AWS IoT’s certificate. This will warn you that the certificate is already installed in the system-wide keystore, but add it anyways. 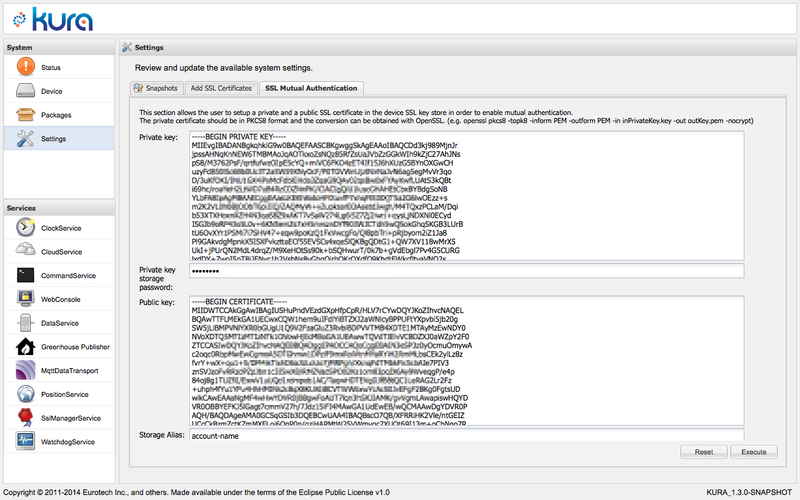 First, we need to make sure that the SSLManagerService is properly configured to use our freshly created keystore. ssl.keystore.password: changeit (or whichever password you picked earlier, when creating the keystore). Next, in the ‘Settings’ section of the Kura UI, we have access to a pretty convenient way to add new keys or certificate to your keystore. This is where we want to add our private key, and AWS IoT’s certificate, that will be used for SSL mutual authentication. Storage alias: this has to be the same information you have in the MqttDataTransport config section for topic.context.account-name. Default value is account-name. This alias is important since it’s used by Kura to actually use the correct key/certificate pair when establishing the MQTT communication. 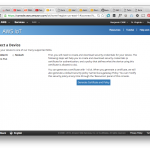 As there are several limitations in the MQTT broker available at AWS IoT, you will need to change some of the default settings in Kura. In particular, the broker won’t let you subscribe or publish on topics prefixed by the ‘$’ sign (except for the $aws/ topic hierarchy). CloudService: adjust the topic.control-prefix setting so as it doesn’t include a dollar sign. This prefix control where things like your device “birth certificate” are being published. If it has a dollar-prefix, you will be in trouble since AWS will just drop your MQTT connection! 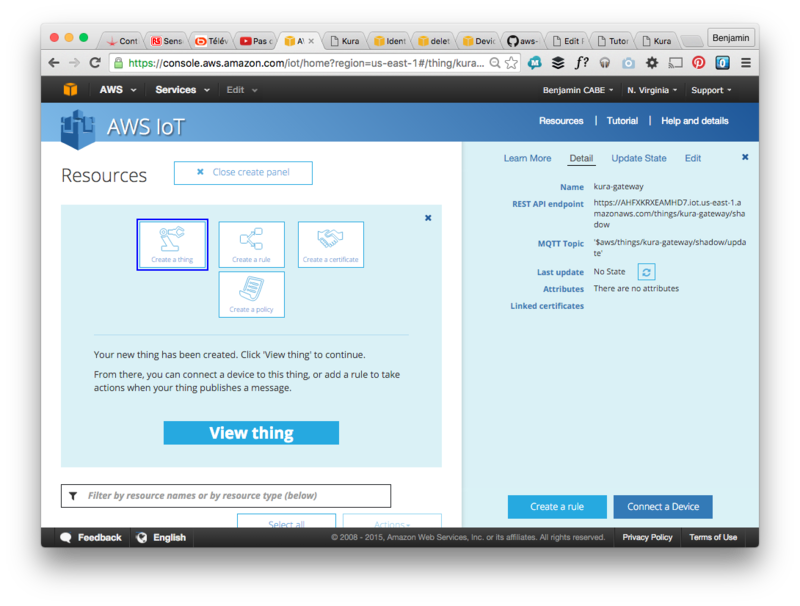 From now on, all your Kura bundles that are using the DataService or the CloudService will be talking to the AWS IoT backend. Therefore if your Kura application is sending JSON payloads, you will be able to set up custom rules to store your data in DynamoDB or invoke Lambda functions. You may also want to experiment with the Thing Shadow API to have the ability to manage your gateway or its apps even when it is offline. And you? 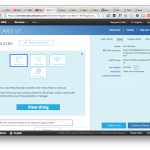 What are you going to build with Eclipse Kura and AWS IoT? Anything similar for using Paho? Any tips? thanks for this tutorial. Are there any news on Kura to allow username and passwords to be NULL – to be able to connect to AWS IoT after a restart of Kura ? I am pretty sure this is fixed in the upcoming Kura 2.0 release. More specifically, this was addressed with this bug. I have converted the private key.But I am getting the error below while applying certificates.Please help!